It’s official. It’s a Boy! These are the last two quilt blocks before I start constructing the baby quilt. This will be our first grandchild and we couldn’t be more excited. We had the privilege of raising four daughters and have lots of experience with girls, but not so much with boys other than the occasional baby sitting. It will be fun getting to know this new little guy when he arrives. 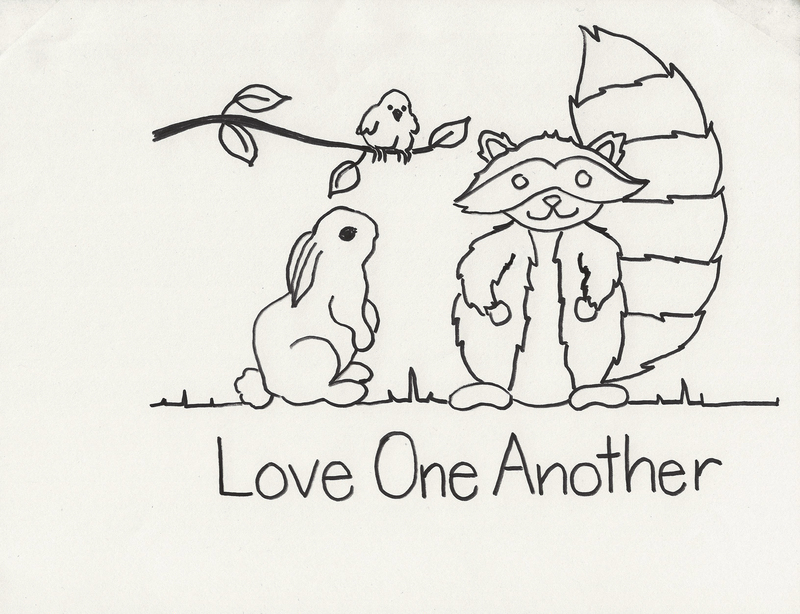 Block 5, Love One Another is a bunny, a bird, and a raccoon in a woodland area. 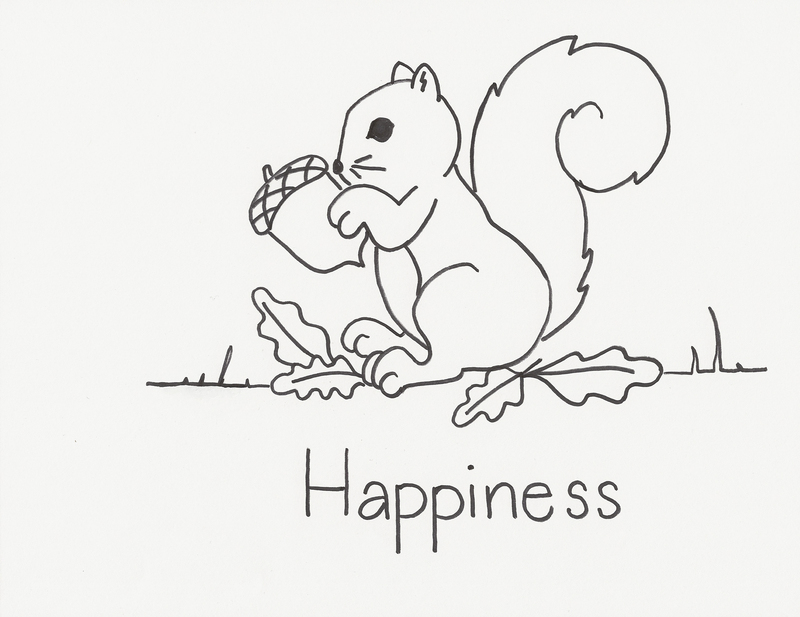 Block 6, Happiness is a squirrel holding an acorn. The fabric my daughter wanted is called Critter Patch and I will use compliments of that line of fabrics to make the blocks to complete this baby quilt. I am not following a pattern but making up my own measurements and pattern for this quilt. She wants to use this quilt as a wall hanging in the nursery. 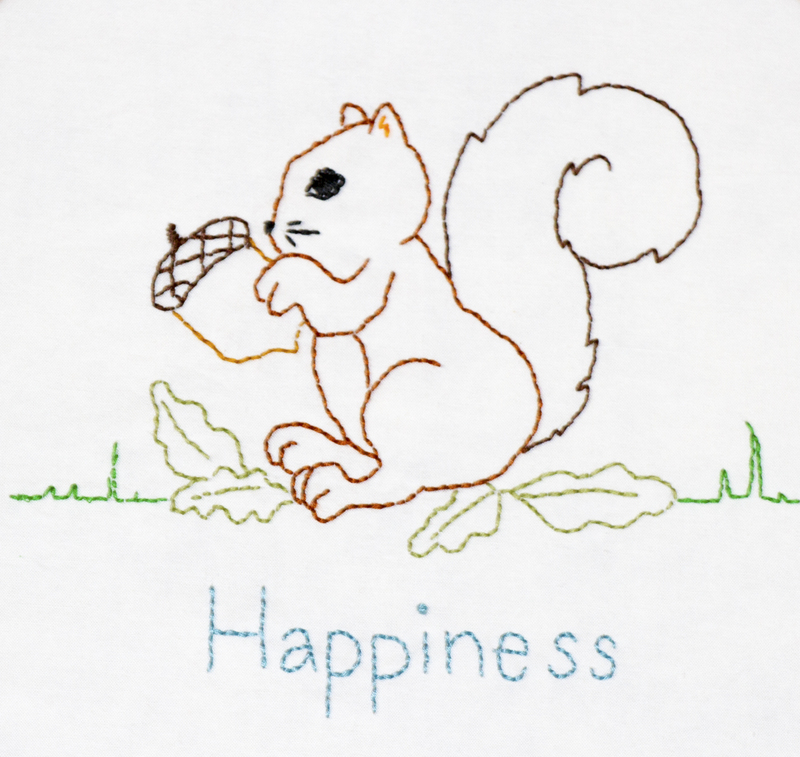 I am still working on a label design for the back. The next post about this baby quilt will be the completed quilt. I hope you will like the finished quilt made for a special new member of our family. 24 Jun	This entry was published on June 24, 2014 at 1:06 am. 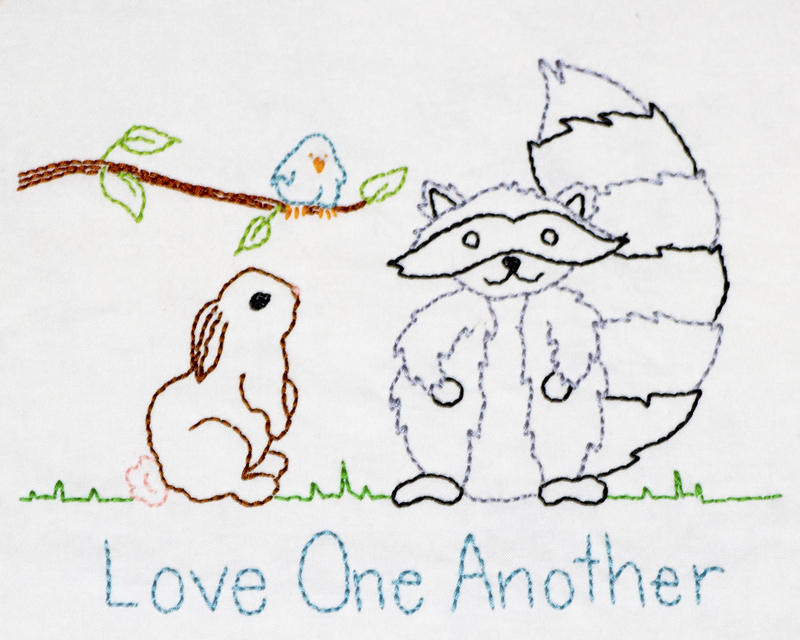 It’s filed under DIY, Quilting at the Cottage and tagged baby quilt, bird, bunny, embroidery, fabric, Quilt blocks, quilting, raccoon, sewing, squirrel, Woodland. Bookmark the permalink. Follow any comments here with the RSS feed for this post.